Did you know that Americans spend more than $2 billion annually on tattoos? Thanks to shows like Ink Master and Black Ink Crew, tattooing has quickly grown during the last five years by 9 percent, which has led to a cultural phenomenon that has influenced the artistic expression of a third of today’s millennials and GenXers. As there are nearly 50,000 businesses nationwide like Goodkind Tattoo Shop operating, there are many things that professional tattoo artists wish you knew. When visiting a tattoo parlor, ask about pricing models as they vary considerably. Do not assume that one price fits all tattoos as some artists charge a set fee based on size while others charge by the hour for a larger design. Other tattoo artists find it better to consult with clients and offer a price based on complexity. Do your due diligence before accepting a rate. Also, when choosing a small tattoo, such as the kind that some women favor, remember that there is a base rate for necessary tattoo supplies. Tattoos are often symbolic and represent the artistic expression of both clients and artists. People get tattoos for lots of reasons including self-expression, self-reflection, to celebrate life, set new goals, memorialize a lost loved one, honor a relationship or represent morals, values or a lifelong career commitment. Tattoo artists love to use their talents to elevate the experience, so feel free to bring a picture or ask for advice on ways you can symbolize your tattoo. Tattoo artists want their customers to know that they are highly skilled and talented. A stereotype exists about tattoo artists that they are uneducated as they are not required to have a degree or certification. While this is true, many tattoo artists have years of artistic training both on the job and personally that qualifies them for this type of work. Tattoo businesses and artists are also required to follow local and state licensing laws that set safety standards. Tattoo artists appreciate when clients ask questions about creativity, the process or the occupation before the appointment begins. It helps clients understand that tattoos require patience and concentration as a tattoo artist is creating at the moment, which is taxing both mentally and physically. It is highly stressful as well as artists want clients to be satisfied, so they strive to provide quality work. It is a struggle between creativity and business procedure. Have your questions ready and keep it short so that tattoo artists have more time to for creativity. It is always important to verbalize your needs as the client. It is also critical that you not micromanage your tattoo artist because it takes technique, focus and attention to detail for them to do their jobs effectively, which is why people choose tattoo artists carefully. Always do your due diligence before the process begins so that you can sit back and relax during the procedure because you know you chose someone who has particular skill sets, artistic capabilities, color coordination, refined technique and a high degree of professionalism. A question that often comes up is if tipping is allowed in this industry. The simple answer is yes as you want to show your appreciation for a job done well. Keep in mind that the price you pay covers business expenses or chair rentals, which leaves little for the artist doing your tattoo. If artists do a great job, tip them to show appreciation. It will go a long way to help struggling artists stay in business, earn a living wage and buy more supplies for your future tattoos. The normal tipping rate for a professional is between 10 to 20 percent depending on complexity. Do not assume that new businesses are not experienced. In fact, many of them have years of experience in the industry, which will be evident if you ask to see a tattoo artist’s portfolio. You will also notice commonly that many of the tattoo artists in the industry constantly look for ways to gain new skills by taking classes, gaining certifications in regulatory and compliance and having a clear understanding of industry regulations. If you are unsure of a person’s experience, tattoo professionals will gladly show you their resume and certifications to gain your trust. Tattoo artists have set rules when it comes to missing appointments. That said, they also want their clients to know that office rules apply, but it is OK to overlook tattoo etiquette when you are sick as it spreads germs to the employees and clients. It is also OK to cancel when you are drunk or taking medication. 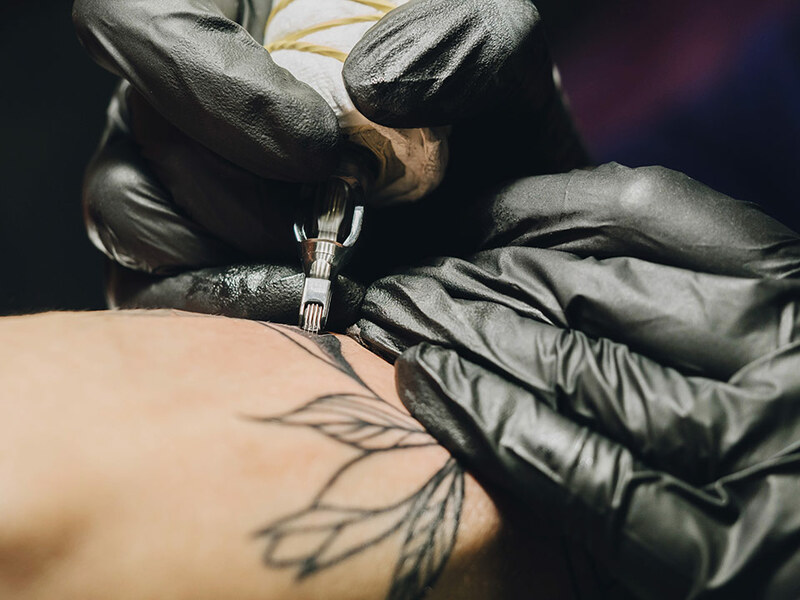 We know that pain is an issue but being under the influence puts your tattoo artist or business at risk for negligence and personal injury claims. It is better to be alert and fully in control of your decision making as it promotes a safe environment for everyone. Getting a tattoo is an important decision, but you need to take the time to gain knowledge as it is a lifetime commitment. Removal of a tattoo also costs as much as $500 per session and as many as 10 sessions to take off fully. Take the time to read feedback about an artist or tattoo business so that you feel comfortable, understand procedures and after-care. Word-of-mouth is crucial, so ask friends or family about recommendations as well. If ever in doubt about anything, keep researching until you find one that aligns with your wants and needs. You want an artist that you can develop a lifelong business relationship, so find one with an industry reputation. Do you have a tattoo or plan to get one soon? What do you think is important to look for in a tattoo artist? Do you agree with these nine suggestions? Do you have any more to add?